To quote the great Smith & Jones sketch show from the 1980s “#Hello, Police? We’ve reason to believe there’s a body in the garden”. 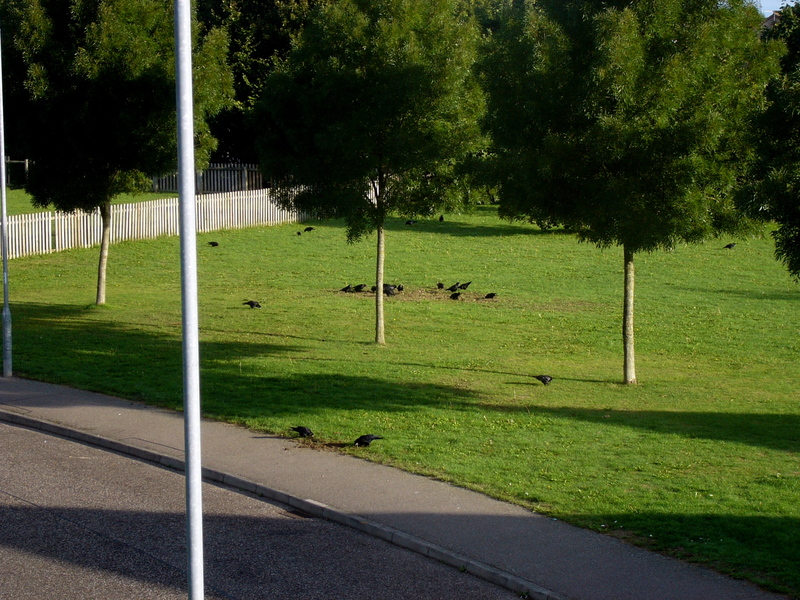 Crows have descended on a small patch of grass (dare I say, “grave-sized”) and have obliterated it. 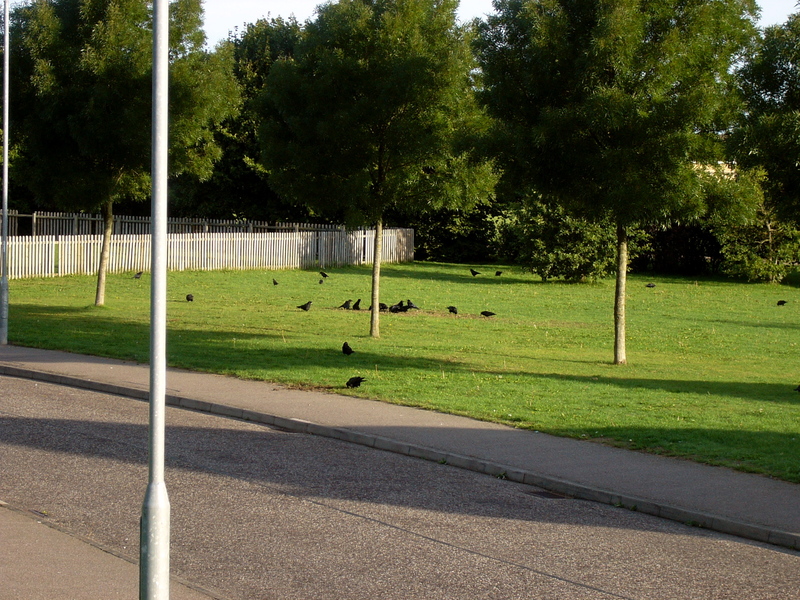 Being carrion creatures it does make you wonder what they are after, as it is only in this area. Incidentally, I believe that this area used to be located in the vicarage gardens, and if Miss Marple is to be believed, it is always the vicarage that throws up such happenings. Anyway, photos are attached…. 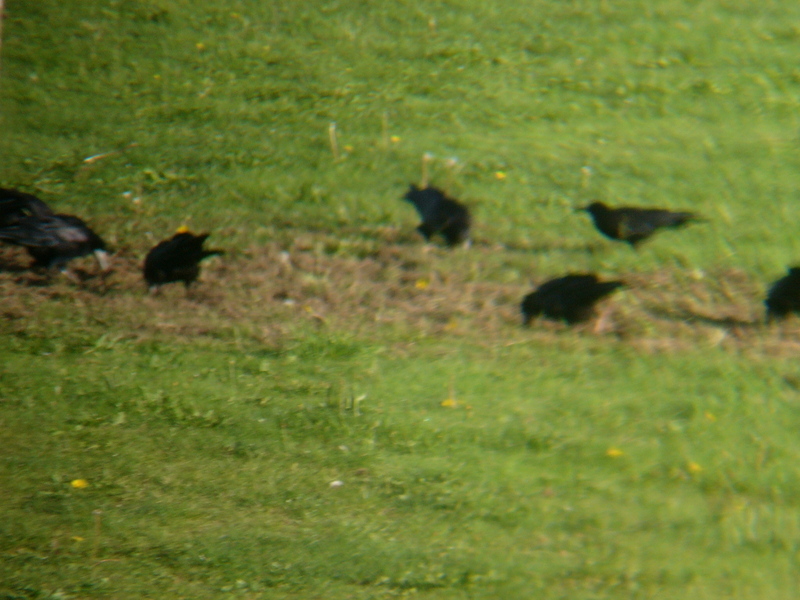 the close up is a bit blurry as it was taken through binoculars LOL.